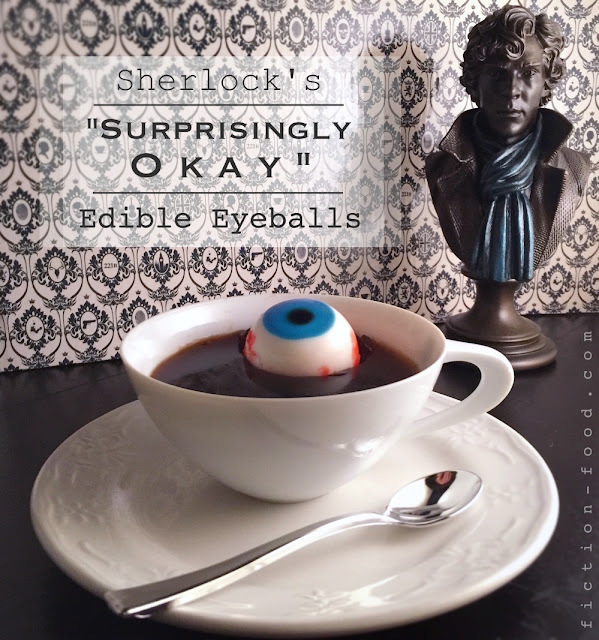 Fiction-Food Café: Edible Eyeballs | BBC's "Sherlock"
Edible Eyeballs | BBC's "Sherlock"
Note: Though we see Sherlock slurp from a cup of tea with a human eyeball floating perfectly in it, a human eye wouldn't actually float because its density is greater than that of the tea liquid. 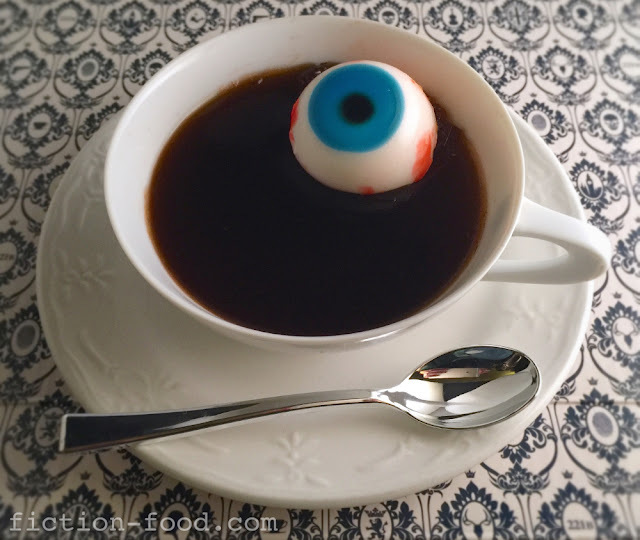 These squishy little guys won't float either (same reason–density), but you can create a fun edible treat in which the eyes appear to be floating by whipping up some tea or soda jello & placing the eyes on top. Simply follow the instructions for making jello/gelatin found on the plain gelatin package, but use tea or soda for the liquid–easy peasy! Before the mixture has solidified, pour it into individual serving cups, like teacups or mugs, and then set them in the fridge. When you're ready to serve, cut/scoop out a little bit of the jello from each cup and plop an eyeball in so that it peaks out about halfway. There you go! Make sure to serve with a little spoon. 1. Spray your mold with non-stick spray & then wipe it around with a paper towel–you only want a light smearing. Sprinkle the half envelope of gelatin onto 1/4 cup of cold coconut water & let sit for a couple minutes. Zap another 1/4 cup of coconut water in the microwave for 30 seconds & then pour in onto the solidified gelatin & stir until it's completely dissolved. Using a 1/8 tsp. measuring spoon or simply pouring in only half of a 1/4 tsp., spoon a very small amount of clear gelatin into each section of the mold (the side that does not have little holes in the center). Slide the mold into the freezer for about 2 mins. 2. Pour 1/3 of the clear gelatin liquid into a small bowl & color it dark blue. Color the rest of the gelatin red & set aside. Spoon a tiny amount of the blue liquid gelatin into each section of the mold, just enough to make a very thin layer. Place the mold into the freezer again for up to 2 minutes. 3. Squeeze a little dot of black gel onto the center of each blue layer & place in the freezer a third time, for 2 minutes or so, & then remove & place the mold into a dish or tray with sides. Place a sheet of plastic wrap over the red gelatin & place it in the fridge until needed. 4. Sprinkle 1 pkt. of gelatin onto 1/2 cup of the cold coconut water & let sit for a few minutes. Combine the marshmallow creme & cream cheese & zap in the microwave for 1 minute & then stir until smooth & fully combined. Spoon in the coconut water/gelatin mixture & stir to incorporate completely. Let sit for a few minutes to cool off a little & then pour into the sphere mold. Lay the top onto the mold & slowly press down. Much of the creamy liquid will overflow–hence the dish or tray with sides. Place the dish or tray with the mold on it in the fridge & let sit several hours or overnight. 5. Remove the mold from the fridge & open it. Gently pop out the eyeballs & place them on a plate. Take the red gelatin out of the fridge & zap it in the microwave for about 15-20 seconds to re-liquify it. Spoon about 1/4 tsp. of it into each section of the mold & then place the eyeballs back into the mold, this time looking up (pupils/iris up). Slide into the freezer for another 2 minutes & then remove & pop the eyes out again. 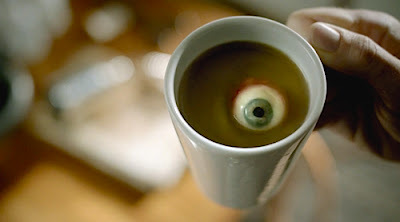 Feel free to dip a fingertip into the red liquid gelatin & dab more onto the eyeballs for more bloody effect. And there you go! 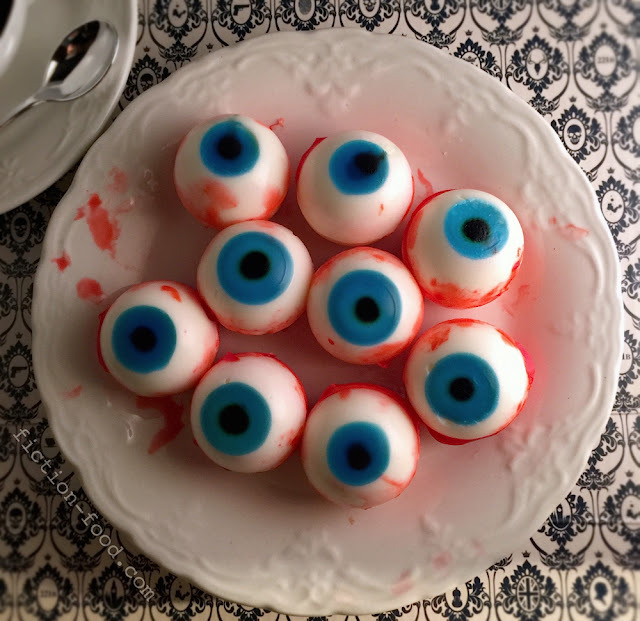 Squishy edible eyeballs! Serve alongside tea or make some soda or tea jello (see note above) & stick an eye into each serving cup! 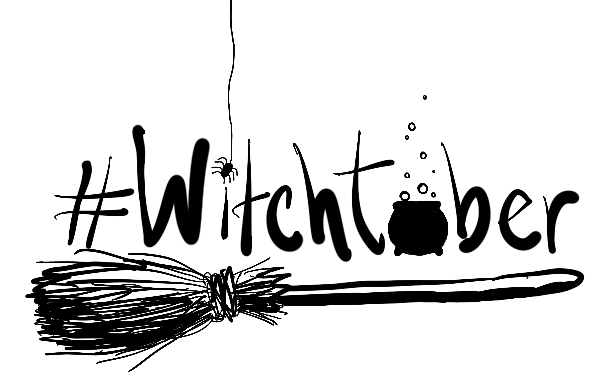 This is just too funny, you have an awesomely creative blog! 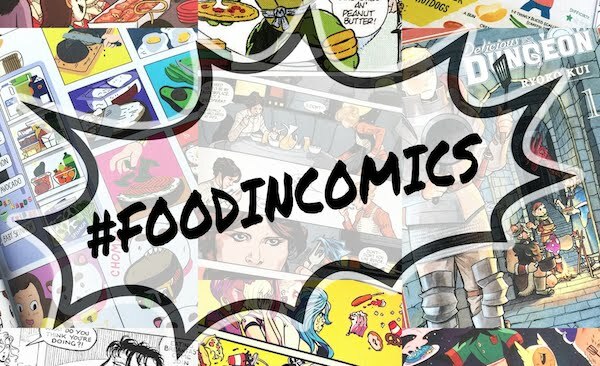 I just found your blog and honestly I find it brilliant! !